The following is excerpted from the upcoming 2016 edition of A History of the Churches from a Baptist Perspective. See end of report for more information. In the 1500s and 1600s, Baptists in England were busy evangelizing England itself and establishing themselves in the midst of hostility and persecution by the state church and were not involved in sending out missionaries to foreign lands. By the late 1700s, this changed. 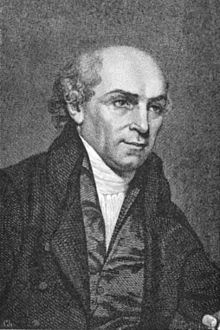 William Carey (1761-1834) was the first Baptist missionary from England, and he went to India. 1. He grew up in the Anglican Church, but he was saved at age 18 and soon thereafter joined a Baptist church. He was baptized in the River Nene on Oct. 5, 1783, by Pastor John Ryland. 2. Right away he had a zeal to preach the gospel. In 1786, he became pastor of the Moulton Baptist Church, and three years later, the Harvey Lane Baptist Church of Leicester. These were small churches, and Carey worked as a school teacher and a shoemaker to support his family. 3. Carey had a burden for world missions. a. He made a world map out of leather and kept it in his shoe shop so that he would be reminded to pray for the nations. b. He taught himself Greek, Hebrew, Dutch, and French. d. In 1792, Carey wrote An Enquiry into the Obligation of Christians to use Means for the Conversion of the Heathen. He argued that Christ’s Great Commission of Matthew 28 and Mark 16 is still in effect and must be obeyed by God’s people. e. That same year he preached at the annual Baptist associational meeting, and his message from Isaiah 54:2-3 had two profound points: Expect great things from God; attempt great things for God. 5. Two of the Baptists who supported Carey’s call to missions were Andrew Fuller and John Sutcliffe. a. In 1785, Fuller had published The Gospel Worthy of all Acceptation. He argued that Calvinistic theology should not kill evangelistic and missionary zeal. b. Sutcliffe published A Call to Prayer with the goal of seeking God’s blessing on the spread of the gospel. 6. In October 1792, the Baptist Missionary Society was established. a. William Carey, Andrew Fuller, and John Sutcliffe were among the 12 founding members. Another of the founders was John Ryland, who obviously had experienced a change of mind about sending the gospel to the heathen! b. They met in the home of a widow and took up an offering of a little over 13 pounds. The wealthier churches had refused to join, so the missionary venture was carried on by the poor ones, which has often been the case since the days of the apostles (1 Cor. 1:26-29; 2 Cor. 8:1-5). 7. Carey sailed for India in 1793, but the British East India Company would not allow missionary work, fearing that it would offend the native people and harm their commercial venture. After a few troublesome years, Carey moved to the Danish settlement at Serampore, near Calcutta, where he was free to preach the gospel to the natives. 8. He was joined by Joshua Marshman and William Ward, and for the next 25 years they worked together in harmony, which is an excellent testimony. a. They had the first Hindu convert to Christ, which occurred after they had labored for seven years. His name was Krishna Pal. (1) In November 1800, Krishna was a 36-year-old carpenter. After dislocating his arm in a fall, he sought medical help from Dr. John Thomas, a co-laborer with Carey, and Thomas and Marshman told him “of a disease they said was even more deadly--sin.” He wanted to know more, and a month later he publicly confessed Jesus Christ as his Lord and Saviour and was baptized as the first Indian convert to Christianity in modern times. William Carey baptized Krishna and his eldest son, Felix, that day. (2) When Krishna broke cast by eating with the missionaries, 2,000 of his Hindu neighbors gathered together against him to punish him, but the Danish governor protected him and even attended his baptism. The Hindus then tried to force Krishna’s daughter to marry a Hindu, but again the Danish governor intervened and ruled she could not be forced to be married against her will. (3) Krishna’s wife, sisters, sister-in-law, and other relatives professed Christ, and for the next two decades he preached the gospel until his death in 1822. (4) He also wrote hymns, including “The Shipwrecked Sinner Looking to Jesus,” “O Thou, My Soul, Forget No More,” and “Salvation by the Death of Christ.” He wrote “The Shipwrecked Sinner” only three months after his conversion. Some of his hymns were translated from Bengali to English by Marshman. (5) Krishna said at one Bible conference, “When I am at work, my mind sometimes goes away from God, and I am sorry and charge it not to do so. I say, ‘Mind! why do you depart from Christ? You cannot be happy anywhere without him. I charge you to keep close to him.’” See 2 Corinthians 10:3-5. (6) When a Hindu asked why Krishna left off the customs of his ancestors, he replied, “I am a great sinner. I tried the Hindu worship, but got no good. After awhile I heard of Christ--that he was [God] incarnate, labored much, and at last laid down his life for sinners. I thought, what love is this! And here I made my resting place. Now say, if anything like this love was ever shown by any of your gods? Did Durga or Kali or Krishna die for sinners? You know that they only sought their own ease, and had no love to any one” (The First Hindoo Convert: A Memoir of Krishna Pal, 1862). b. Carey’s team published the complete Bible in six languages and the New Testament in 23. Many of these translations were not well done because Carey employed Hindu pundits in the translation work. c. They started the first printing press in India on an organized scale. d. They established Serampore College to train Christian workers. e. They founded the Agricultural Society of India to help increase food production for the masses. f. They were the first to attempt to educate native girls and women. g. They established the first medical mission in India. h. They helped abolish the practice of sati, whereby Hindu widows were burned alive on the funeral pyre of their dead husbands. 10. William Carey held two errors that had negative long-term influences. a. Carey had an ecumenical philosophy and called for all denominations to come together for the cause of missions. It is impossible to maintain sound doctrine with an ecumenical principle, because ecumenism requires tolerance of error to achieve a broad tent. It is the direct opposite of earnestly contending for the faith once delivered to the saints, as commanded in Scripture (Jude 3). - Serampore College was ecumenical from its inception. The Senate included at least one member from Anglican, Baptist, Congregationalist, Lutheran, Methodist, Presbyterian, and Syrian Orthodox (Brynmor F. Price, Carey and Serampore: Then and Now, a lecture in 1961 on the 200th anniversary of William Carey’s birth). - The Serampore Baptist missionaries also had relations with the Catholic Church. “The cordial relations with Christians of other denominations extended even to missionaries of the Roman Catholic Church. Marshman received much help in his Chinese studies from a Roman missionary who had spent ten years in Peking. As the latter spoke no English, they communicated with each other in Latin! In fact, Marshman suggested to Ryland that prospective missionaries should be prepared to speak and write Latin in order to communicate with Roman Catholic missionaries” (Price, Carey and Serampore). - Carey’s call for ecumenism bore unsound fruit soon after his lifetime. It resulted in the World Missionary Conference in Edinburgh, Scotland, in 1910, which led to the formation of the World Council of Churches. “It was in order to produce a strategy to surmount denominational barriers in promoting world evangelization that the delegates came to the first World Missionary Conference” (The History of Christianity, Lion Publishing). The World Council of Churches is one of the most apostate, heretical Christian organizations ever conceived, as we have documented in the book World Council of Churches, available in print and as a free eBook from wwww.wayoflife.org. b. Carey also did not require that all education be grounded in Scripture. But Christian education that is not grounded solidly in Bible truth soon deteriorates to vain human philosophy. As a result of these errors, Serampore College soon became apostate. When I visited there in 1982, I had a recorded interview with Mr. Joy, head of the New Testament department and acting head of the seminary at the time. He told me that he believed there are multiple ways to become a Christian and that sincere Hindus go to heaven when they die. I was also told that Serampore had close ties with a Roman Catholic institution across the street. The following is excerpted from the upcoming 2016 edition of A History of the Churches from a Baptist Perspective. The course begins with the apostolic churches and ends with the early 1800s. We show that sound churches have existed side-by-side with apostate ones through the centuries. The chapters are as follows: The Apostolic Churches, The Budding of Apostasy AD 100-700, The Rule of the Roman Catholic Church 700-1500, The Byzantine Empire and Greek Orthodoxy, Islam, The Waldenses, The Catholic Inquisition, The Bible in the Middle Ages, John Wycliffe and the Lollards, The Protestant Reformation, The Catholic Counter-Reformation, The Bibles of the Reformation, The Anabaptists, and Awakenings and Missions 1700-1800. The November 2016 edition is much enlarged, completely revised, and is accompanied by 11 PowerPoint presentations with more than 1,100 slides and video clips, plus new maps and a new PDF book The Bible and Western Society. A History of the Churches from a Baptist Perspective is 560 pages in two volumes.